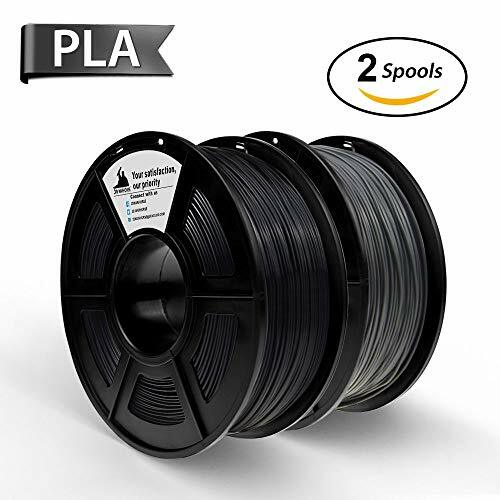 【3D Printer Filament PLA】1kg x Black PLA Filament + 1kg x Gray PLA Filament. 【PLA 3D Filament】High purity Low shrinkage,High strenth with Better toughness,Ease of Use,No bubbles. 【Guarantee & Service】One year warranty,Any problems about our 3D Printer Filament, we will replace for you.